This segment is part of The State of Science, a series featuring science stories from public radio stations across the United States. A version of this story originally appeared on WBUR in Boston. They’re a staple of hospital treatment: the clear plastic bags of saline solution hanging on poles above the patients’ beds. They’re used to deliver medications ranging from antibiotics to chemotherapy, or simply to infuse fluid into patients who need it. And they’re now in short supply around the country—including at Massachusetts General Hospital, which is raising a red flag about the ongoing inconsistency in supplies of intravenous fluid. The situation is concerning enough that Mass. General has brought in its Hospital Incident Command System—used for responses to emergency events—to ensure efficient communication with the staff about how to cope with the shortage as it changes day to day, Britton says. The industry that produces the IV fluid bags has been troubled for years, from moldy bags to a criminal probe, but the current shortage stems from Hurricane Maria: It knocked out plants in Puerto Rico that belong to the pharmaceutical company Baxter, which makes the bags. At Mass. General, Britton says, the supply problems have come in waves. First came the shortage of “mini-bags”—little bags smaller than a mini-can of soda—used for various medications. The hospital coped in part by shifting to more IV “pushes”—injecting a medication into a line using a syringe instead of using an IV bag. The hospital took other measures as well, such as asking the staff to give medications and fluids orally instead of by IV wherever possible. And the pharmacists adjusted too, Britton says—the small IV bags were in short supply, but they had large bags of fluid and the needed medications, so they started working overtime to mix the small bags themselves. The trouble is, whatever alternatives MGH comes up with to cope with the crisis are likely to be tried by other hospitals as well, raising the demand for those substitutes. So, Britton says, soon, the large bags became harder to get, too. The alarm bells are sounding loudly enough for the government to hear: At the state level, the Department of Public Health says it’s actively working to understand how the shortage is impacting Massachusetts hospitals, and it has been directing hospitals to follow recommendations by the Food and Drug Administration. At the national level, the FDA is monitoring the shortages. The agency says it is working with Baxter to help the company get its production back online in Puerto Rico, and it has approved imports of IV fluid products from two foreign companies. “We now believe that the shortage situation related to IV solution products will improve by the end of 2017,” the agency says in an email. Britton worries about smaller hospitals that could be having an even harder time with supplies than big places like MGH, he says. The FDA is begging hospitals not to hoard the IV fluid because that could stress the system even more, he says, and the manufacturers have put hospitals on quota systems based on how much they ordered historically. Still, he emphasizes, patient care has not been affected. Perhaps what is suffering most is confidence in the resilience of the health care supply system. There have been shortages of drugs and vaccines before, but this one is especially daunting because it affects such a core component of hospital care. Carey Goldberg is a health/science reporter and the editor of the CommonHealth blog at WBUR in Boston, Massachusetts. SPEAKER 3: For WW Now. SPEAKER 6: Iowa Public Radio News. 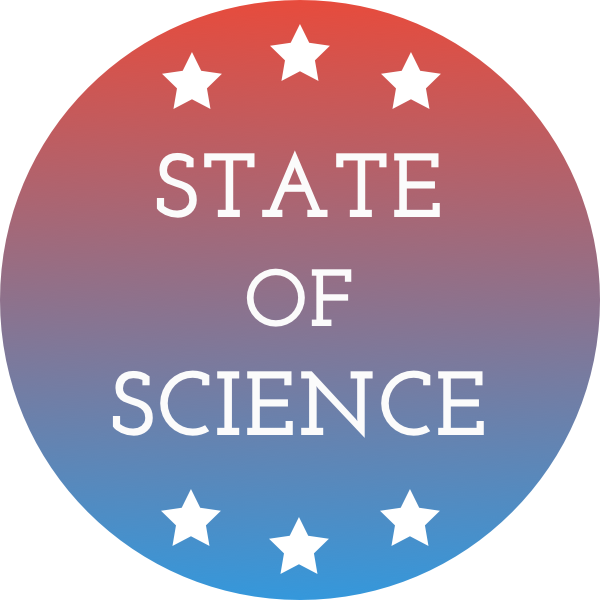 IRA FLATOW: Our series about the science stories happening in states around us. And you might not know this, but there is a national shortage of IV bags, you know, intravenous bags, the bags that are used in hospitals, in clinics everywhere. And my next guest Carey Goldberg, a health reporter for Station WPUR, looked at why this is happening and how the famous Mass General Hospital in Boston– excuse me– is dealing with. Carey, welcome to Science Friday. CAREY GOLDBERG: Thanks very much, Ira. Good to be here. IRA FLATOW: Thanks. 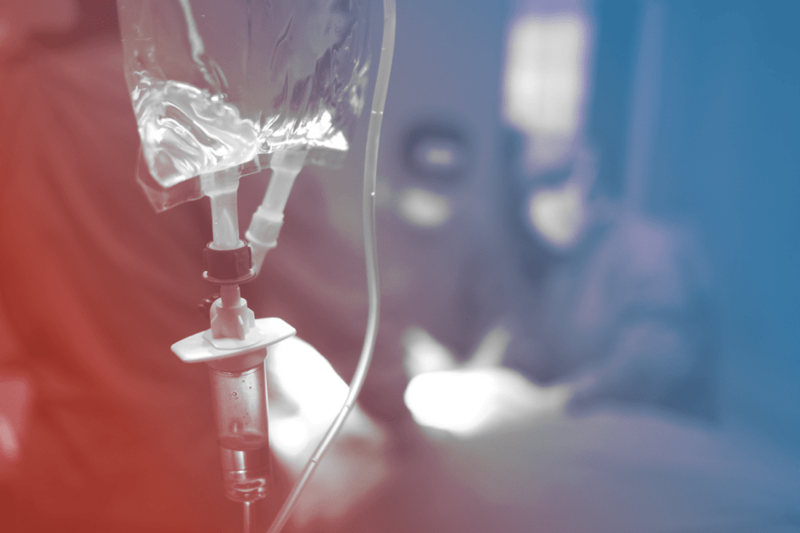 Are these the same– these saline drip IV bags you see hanging from the poles in the hospital? CAREY GOLDBERG: Yes, absolutely. Yeah, if you’ve ever been hospitalized, you’ve probably had one dripping into you. These are absolutely central staples of hospital care. And they’re used both just to give people salty water, you know, saline if they need hydration for some reason, but also to deliver a lot of medications ranging from antibiotics to painkillers to chemotherapy. So they’re used constantly in hospitals. IRA FLATOW: And the cause of the shortage is what? CAREY GOLDBERG: Well, so, the cause is a little complicated. But clearly, the industry has been pretty troubled for years. Manufacturers have faced various problems. But the trigger at this point is Hurricane Maria, which was just over 100 days ago, right? And it was known to knock out quite a few medical manufacturing plants in Puerto Rico, including plants that belong to the pharmaceutical company Baxter, which makes these IV bags of saline. So you’ve got this market that’s already pretty tight. And now the supplies are getting really inconsistent. So if you’re on the front lines of medicine, you’re using these bags day in and day out, that makes you very nervous. IRA FLATOW: I know you talked to Dr. O’Neil Britton, the chief medical officer at Mass General in Boston. And this is what he said. O’NEIL BRITTON: But it does point to the relative fragility of the medical and pharmaceutical supply-demand system. We spend a ton of money, I guess, on the national strategic oil reserves, but there’s no such thing in health care. Maybe we should think about that. IRA FLATOW: That’s very interesting. That’s an interesting idea, Carey. CAREY GOLDBERG: Yeah, I mean, I was kind of like, wait, we don’t have a strategic reserve of medical supplies? Oh. IRA FLATOW: Oh, wow. You know, that is amazing. So what then if they don’t have a strategic supply, what is a famous hospital like Mass General, what are they doing to make up for this shortage? CAREY GOLDBERG: So they are coping, I would say. And first of all, I think it’s important to note that Mass General, it’s very powerful. It’s very famous. It’s very prestigious. And if even they are having this problem and raising red flags, just imagine what’s happening in smaller, less powerful hospitals. So at Mass General, first of all, they brought in their hospital-wide incident command system, which as a Bostonian, I think of that as the kind of thing you bring in an emergency like the Boston Marathon bombing or something. But they felt like this was reaching such a crisis that they needed to be able to communicate about it day to day. And then they’ve just been kind of rolling. The supply problems change day to day. And so they’ve been rolling with the waves that hit them. So first, it was these little bags, mini bags of IV fluids, that really became very short supply. And so they started taking the bigger bags and breaking them into littler bags. And they’re also using more of what’s called IV pushes, which basically means that the nurse just has to kind of stand there and slowly inject the medication into the IV line. IRA FLATOW: I’m old enough to remember what they had glass drips. They were glass bottles that were used. Do they think about possibly going back? They probably don’t exist anymore. CAREY GOLDBERG: Yeah, I don’t know. I have not heard about anybody using the glass bags. It sounds more– glass bottles– it sounds sort of more like they’re just using these IV pushes. And in fact, there was a tweet that went viral in the last few days by a guy in California who said that my wife’s nurse had to stand for 30 minutes and administer a drug slowly through a syringe because there are almost no IV bags in the continental US anymore. See, they were all manufactured in a Puerto Rican factory which still isn’t fixed. And then he said something about President Trump that I cannot repeat. IRA FLATOW: Yeah, well, the FDA is addressing the issue? CAREY GOLDBERG: Yeah. The FDA is on it. Scott Gottlieb, the commissioner of the FDA, just put out an update yesterday saying that they do expect this shortage to improve in the coming weeks. And he says that Baxter and the other manufacturers have just gotten back onto the commercial power grid. So he expects improvements. IRA FLATOW: Let’s hope the rest of Puerto Rico gets back on that grid as soon as they can. Thank you very much, Carey. IRA FLATOW: Carey Goldberg, health reporter, editor at WBUR’s Common Health blog.